called Naruto Original Soundtrack II was released on March 18, 2004 and contained nineteen tracks. The third, called Naruto Original Soundtrack III was released on April 27, 2005 and contained twenty-three tracks. A series of two soundtracks containing all the opening and ending themes of the series, titled Naruto: Best Hit Collection and Naruto: Best Hit Collection II were released on November 17, 2004 and August 2, 2006, respectively. 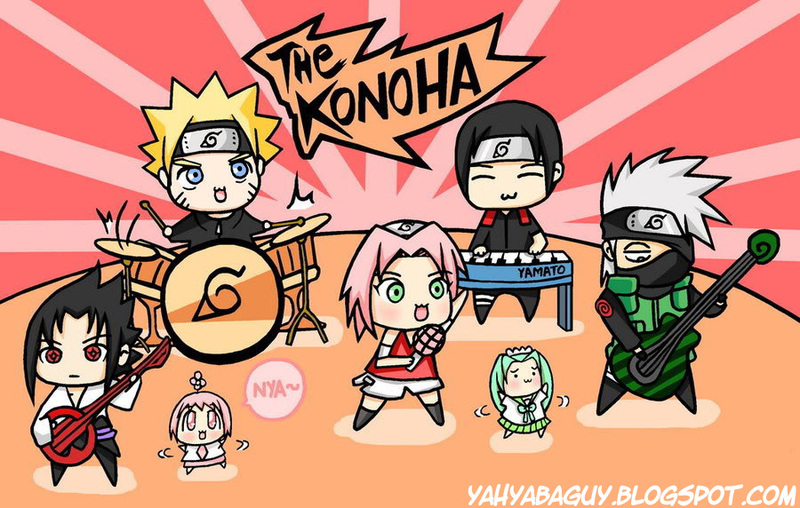 Of all tracks of the series, eight were selected and released as a CD called Naruto in Rock -The Very Best Hit Collection Instrumental Version- that was released on December 19, 2007. Each of the three movies of the first anime series has a soundtrack that was released near its release date. Various Drama CD series have also been released in which the voice actors play original episodes. The soundtracks of Naruto: Shippuden have been produced by Yasuharu Takanashi. The first, Naruto Shippūden Original Soundtrack was released on December 9, 2007. The second CD, Naruto Shippuden Original Soundtrack II, was published on December 16, 2009. Naruto All Stars was released on July 23, 2008 and consists of ten original Naruto songs remixed and sung by characters from the series. The two films from the sequel also had their soundtracks, with the first released on August 1, 2007 and the second on July 30, 2008.